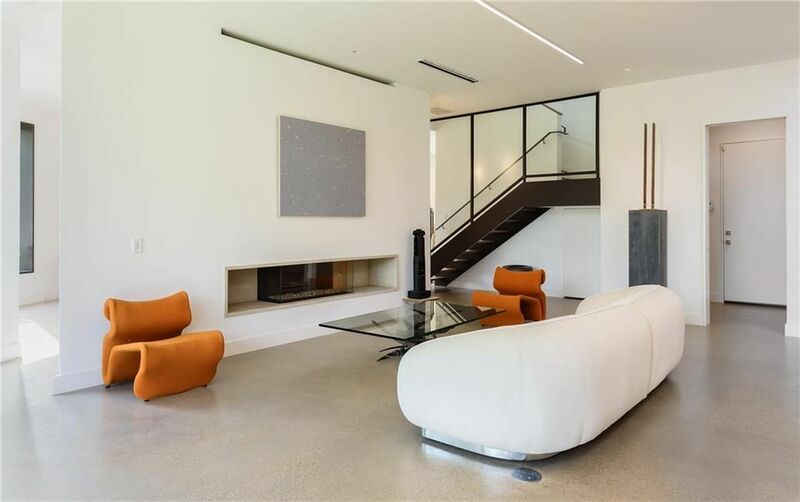 A modern fireplace instantly becomes a breathtaking focal point of any room, but what features should we look for when selecting the right fireplace for modern architecture or modernist architecture design? The list below presents the most important features, when bundled together, to assure the final result is truly modern. 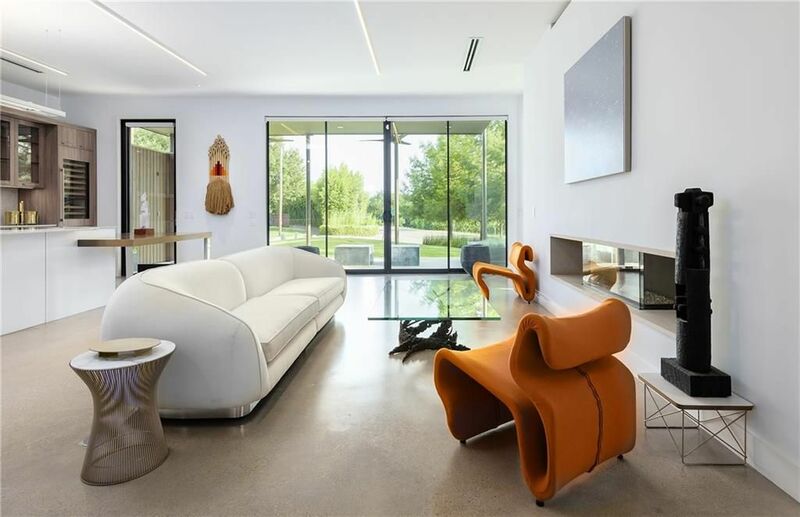 Frameless showers, doors, windows, and televisions are now the norm in most mid to high-end houses and apartments, but interior designers and architects often ask us what they should use for the fireplace solution? Frameless Fireplaces present a very smooth, sharp contemporary look. The frameless design allows the surrounding finishing material to connect to the fireplace’s frameless glass opening, and gives the appearance as if the linear glass is hanging off the wall. 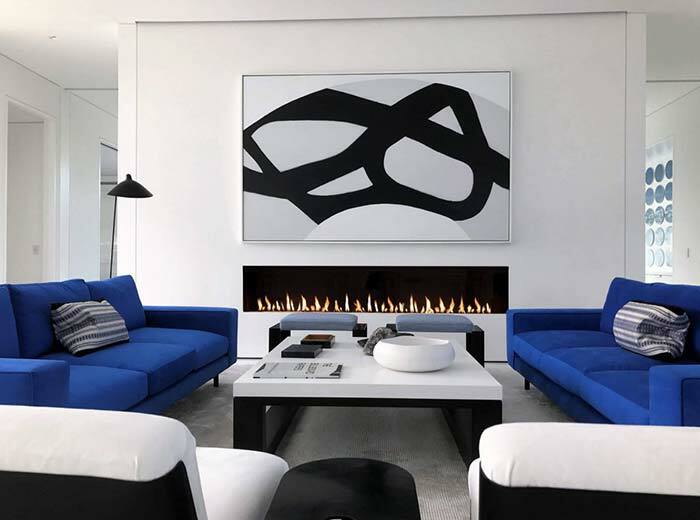 Frameless Fireplace continues and supports the minimalist approach and allows the architects, and designers to design the space with the same characteristics without an eye-catching frame. 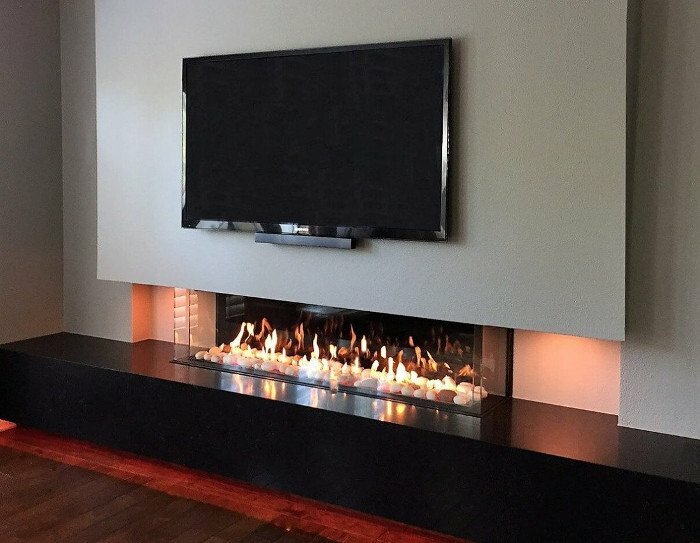 The linear gas fireplace is designed to show longer over the wall projecting rectangular opening. The name “linear fireplace,” is used for the fireplace, because it can be specified by linear foot. For example, Flare 3ft, Flare 4ft or Flare 8ft. When specifying and referring to a linear fireplace, it mostly refers to a rectangular shaped fireplace. 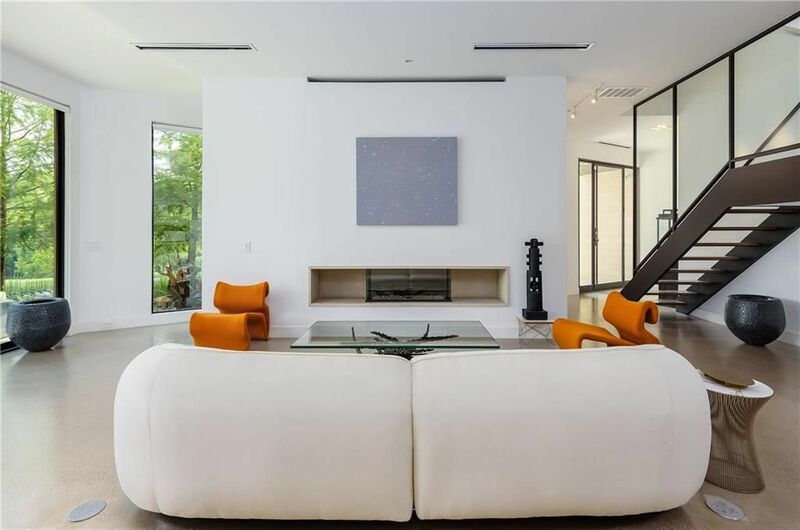 When planning for a linear fireplace, it is important to notice the glass opening (How tall is the glass viewing area). A too narrow fireplace when being installed in its natural location (lower part of the wall), will present a very limited angle to the flame. A minimum of 16” opening should be specified. Depending on the fireplace design, a 24” opening can work even better (See through applications for example). Glass opening, 16” or 24” are a major feature to decide before ordering the fireplace. The height at which it will be installed off the floor is a factor as well. Due to the wide ranges of fireplace length, the linear fireplace works for many applications and can complement any living space with its clean, dynamic fire view. Starting 2015, any fireplace sold in North America needs to be sold with a safety barrier. The contemporary fireplace needs to continue and present a clean looking opening, but maintain the same safety level as any other fireplace. Safety Screen – The use of extremely gentle “invisible mesh” and concealing the mesh frame is part of the frame-less modern fireplace design. The screen frame is hidden inside the wall, at the top and bottom of the unit. The Screen used is so delicate that most owners need to touch it to confirm it’s there. Advanced and properly designed fireplaces should also present an easy way to remove the screen in case it needs to be cleaned. The removal process should be designed in a way that it does not require a technician to remove, clean and assemble back. Double glass – Commercial application and corner unit present a bigger challenge due to the safety barrier and are sold a lot with double glass solution. The cool to the touch solution is used as a safety barrier, replacing the need for a physical screen. The Double Glass solution preserves the same safety level, but without the screen. The double glass solution also reduces the radiant heat reflected from the front of the glass and is selected in many applications where reduced heat is desired. Properly designed contemporary fireplaces with double glass should present a minimal gap between the two layers of glass, to create as minimal as possible disruption to the eye. If the gap is kept small, the double glass design is almost unnoticeable. The Double Glass solution and design should not present additional complications when it comes to installation and removal of the glass. When considering a fireplace with double glass, confirm and ask how long it will take to remove the glass, in case cleaning is needed? how loud is the system? Summer Kit reduces overall heat output so you can enjoy your modern gas fireplace all year long. Show off your stunning linear fireplace even in the summer. The optional Summer Kit (SK) extracts heat from the chase, directing it outside, rather than into your home. The inline system of fans allows the fireplace to operate without a significant increase in room temperature and operating the kit is as simple as flipping a switch. The system is set up to come on automatically with the fireplace, and can be controlled independently of your fireplace; it should also be possible to connect the SK to your home automation system and adjust heat output with the changing seasons. 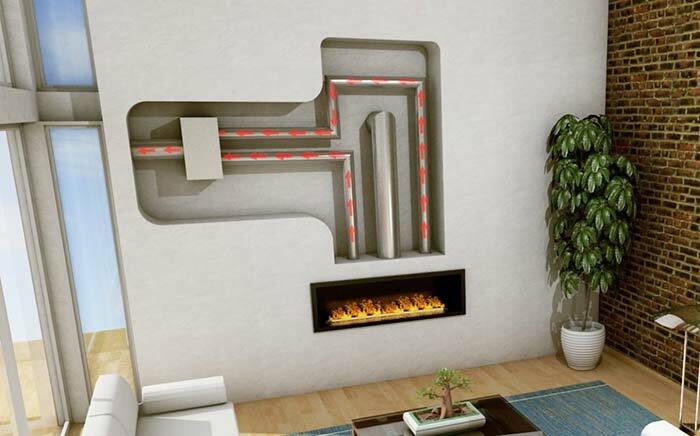 A modern linear fireplace should also present the owner a way to control the summer kit as an optional feature, and disable/enable the operation based on the time of the year and room temperature. 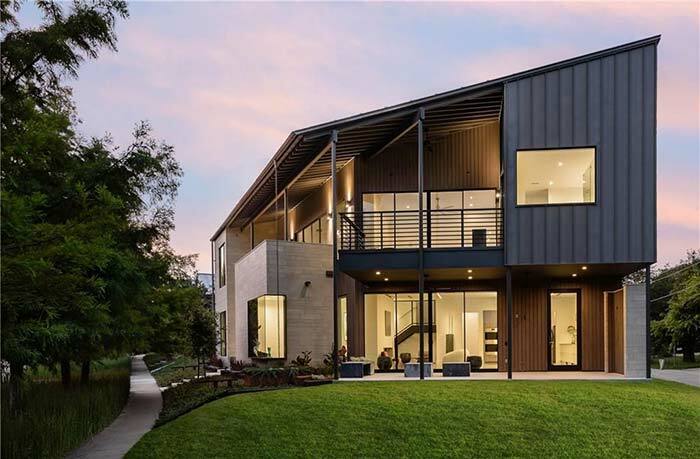 Modern homes are hard to control. As technology advances, the number of controlled devices increases. The new linear modern fireplace must present a way to connect the system to a home automation process in order to control it as part of the house, and not only with a dedicated remote. The Modern fireplace home automation does not bypass the physical shut off that is installed with any fireplace but will allow a more central way to control the system without looking for the remote in the couch.